Disclosure- I will recive the same prize package as the winner. This contest is not run by Entenmann’s. The prize will be shipped to you directly from the sponsor. Entenmann’s Little Bites pouches of baked snacks have been making people smile for 15 years. Now it’s time to gather ‘round the campfire with this summer’s hottest snack flavor, NEW! Little Bites® S’mores! They deliver a delicious combo of chocolate chips, marshmallows and graham flavor, leaving everyone wanting S’more. And that’s not all! 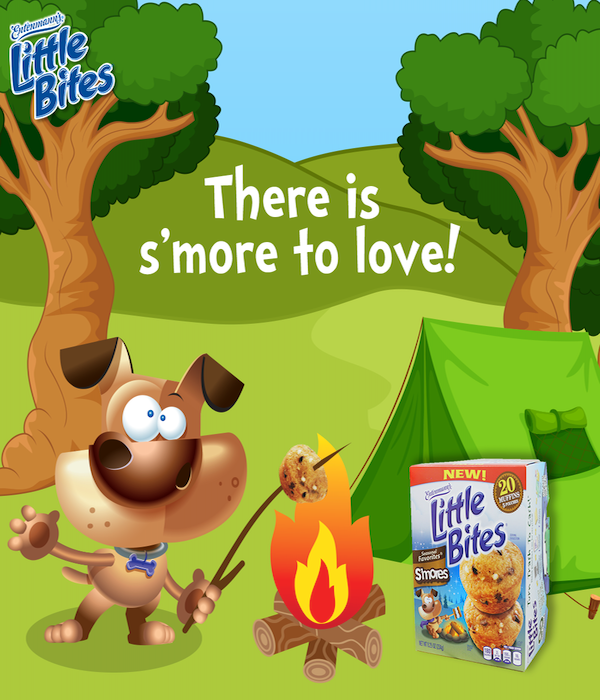 In addition to the summer s’mores madness, Little Bites will be hosting a Summer Fun Campaign on its Little Bites Facebook page from June 15th through August 14th! Consumers will be asked to post comments on the Little Bites Facebook page of how their families have summer fun. Each week, one (1) winner will receive a month of Little Bites snacks awarded in the form of four (4) $5 coupons and an adorable Little Bites Puppy plush toy! Consumers can also complete an entry form on the Facebook page for a chance to win one of five $100 grand prize gift cards or one of 25 first prizes of a one (1) month supply of Little Bites snacks! Little Bites S’mores are a part of the Entenmann’s Little Bites Seasonal Favorites® line and are available only June through August 2015. We wanted to make sure you got a bite of the new yummy trend just in time for summer! Wherever your family is headed, Little Bites Snacks are #GoodToGo and the perfect choice to take with you! Ends July 6, 2015. Good luck! I would keep this and share it with my family. I would give this to my son to enjoy at college. I would give this to my two little brandsons. I would give this to my family. I’d keep it for my baby. I would eat it myself. 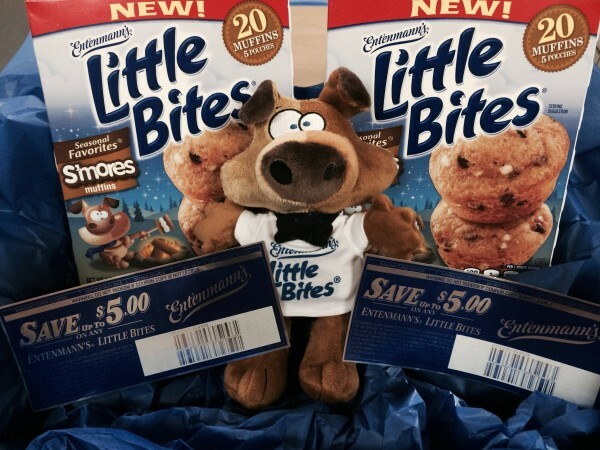 This Entenmann’s prize pack would be for my kids. My daughter would get the plush dog. I would love to give them to my son. I’d give these to my husband to take to work! i would give it to myself. have to treat yourself sometimes. I would share with family and friends. I would share this with my family and my grandson. I would keep it for my family! I would share this with my kids! I’d share with my teen kids. Thanks. I would share these with my dad. I would keep this for my family, my kids would love it. My three boys would love these. They love the chocolate chip little bites. Thanks for the chance. I would SHARE them with my 3 children! The stuffed animal would be for my little girl, but the Little Bites would be for the whole family. I would give it to my grandson! What a fun package!!! I would keep this for my kids. I would give this to my daughter for her to share with her 2 girls & her husband. I would keep these and share with my husband and daughter. I would give to my kiddo . I’d share them with my family. I would keep this for myself and my daughter. I would keep this for my kiddos!! Thanks for the chance. I’d share it with my family. I would share with my nephew. He would love the dog. I would give this to my grandsons to enjoy! It would be for my whole family to share. hey,those sound yummy though ive never heard them. I would sooo keep these… major sweet tooth here! I’d keep this for our family! Our boys would LOVE this! I would share this with my mother. She has a huge sweet tooth. I’d give this to my 8yo son. He is a big Entenmanns lover!